It’s that time of year when T-shirts emerge, sunscreen is routine and you start to spend as much time outside as you possibly can. But summer in the city isn’t just about lounging around and catching a few rays. Richmond has a full menu of sparkling festivals to keep your days full. Read on for the lowdown on these local signature events—and mark them on your calendar ASAP. One of BC’s longest-running community festivals, this event is the perfect way to kick off your Canada Day. Arrive early for the $8 pancake breakfast but save room for the legendary salmon barbecue later—it’s $16 per plate and they sell more than 1,200 pounds every year. 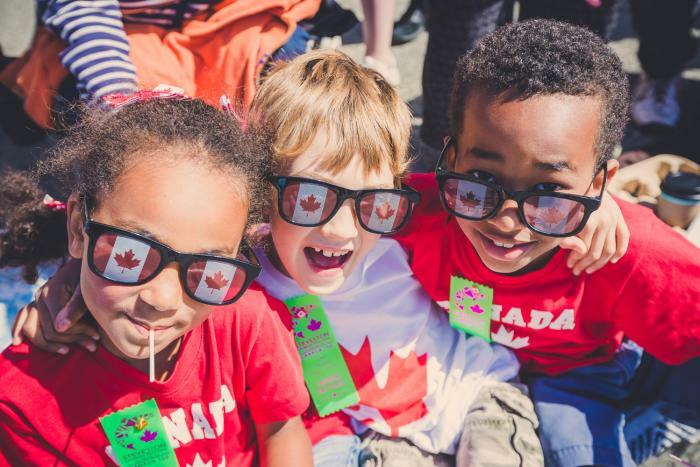 When you’re not eating, check out the horticultural displays, martial arts demonstrations and much-loved car show, but don’t miss the huge 10:00am Canada Day Parade, with its floats, marching bands and gaggle of wandering pirates. Live bands hit the outdoor stages here throughout the afternoon, but keep in mind that the Salmon Festival is also part of Steveston’s huge Richmond Canada Day party—details below. 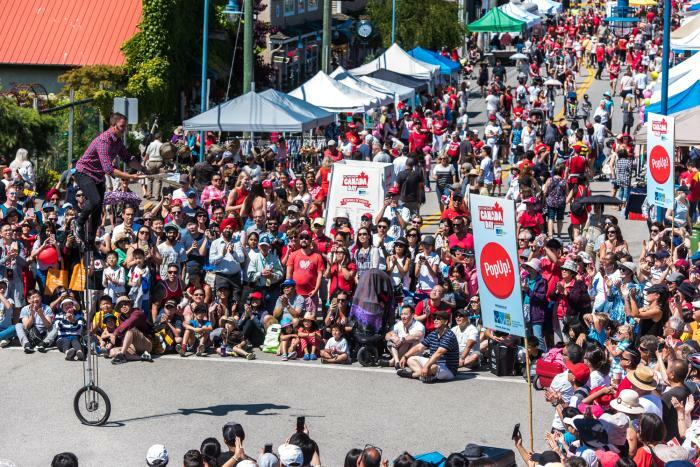 Seamlessly dovetailing with the Salmon Festival, Steveston is also the beating heart of Richmond’s main Canada Day shenanigans. And that means a diverse roster of entertainers and toe-tapping musical acts on multiple stages around the village. With performers scheduled all day, must-see acts include Big Sugar, Terra Lightfoot, and the Wild Moccasin Dancers. Fancy a break from the shows? Steveston’s Gulf of Georgia Cannery National Historic Site is also offering free-entry to visitors on July 1. And if you’re looking for a fitting end to your Canada Day celebrations, there’s a grand fireworks finale over the water here at 10:15pm. Plunge into the region’s salty seafaring history at this celebrated, family-friendly event. 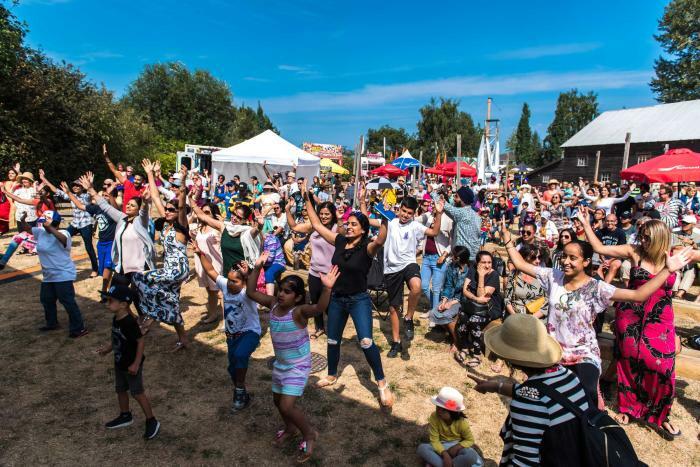 Now in its 15th year, Steveston’s waterfront Britannia Shipyards is the perfect setting for two full days of storytelling, puppetry, live music and the kind of tasty food vendors guaranteed to wean you off ship’s biscuits forever. Adding to the fun, there are also artisan stalls plus costumed characters wandering the boardwalks and bringing the past to life. Best of all, you’ll find a mini armada of historic boats that you can check out and hop aboard. Bringing the kids? They can even build and decorate their own model wooden boat to take home. 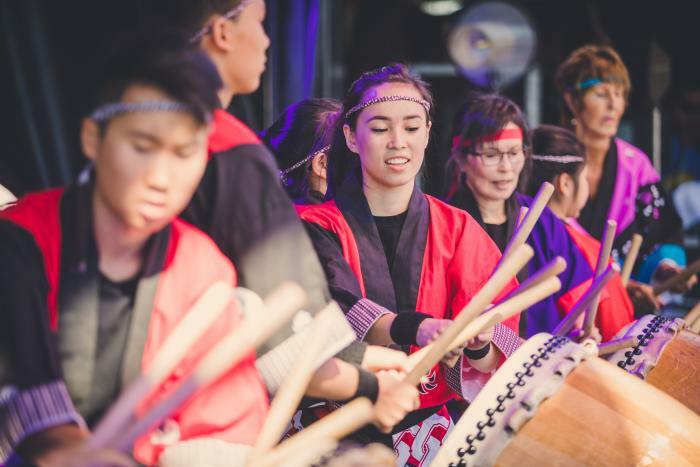 The perfect celebration of Richmond’s international diversity, this alfresco Minoru Park event has grown exponentially since its 2015 launch. Alongside a global array of artisan stalls, cultural performances and themed zones (including this year’s African and Wide World of Sports areas), many locals and visitors flock to this event for two big reasons: the tantalizing smorgasbord of 50+ food trucks (serving up everything from pierogies to Thai curries to spiral potatoes) and the jam-packed roster of cool and eclectic live music, featuring dozens of acts on several stages. It’s the ideal way to plunge into party mode this Labour Day weekend—and stretch out your summer as long as possible.